I recently came across Wildly Austin: Austin's Landmark Art by Vikki Loving. It is a really cool book showcasing the creative, iconic art around Austin. 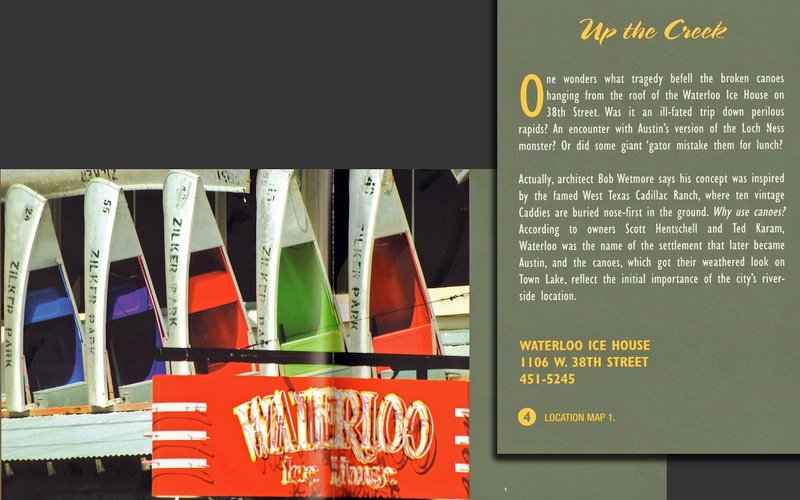 Interestingly enough, there was a write-up on Waterloo Ice House and how the landmark canoes came to be...thanks to our very own Bob Wetmore!